The Xfinity Home, the total home security and home automation solution from Comcast, offers its customers the ability to add 24/7 video recording service which includes motion-based triggered events in an easy to view timeline from the Xfinity Home mobile app. 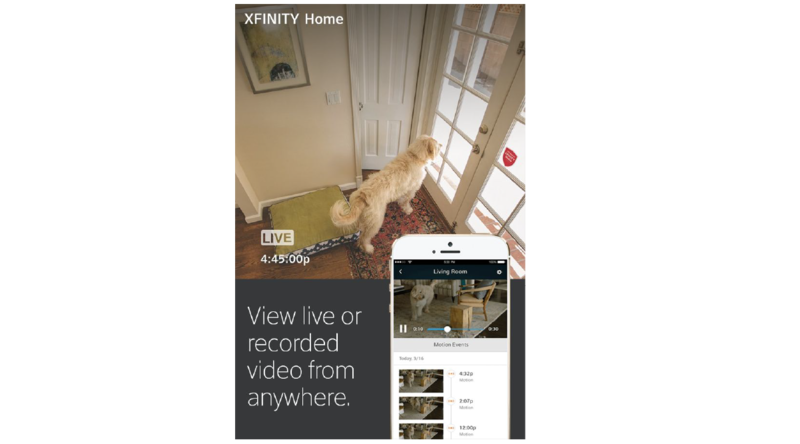 Xfinity Home customers with a camera can already view live video monitoring of their home in HD from anywhere via the mobile app. Xfinity Home customers with the 24/7 video recording service can record, rewind, review and share up to 10 days of footage (stored in the cloud) with family, friends or the authorities. Builders and contractors would want to provide the Comcast infrastructure that allows their residents the ability to Experience Xfinity’s 24/7 Video recording Service and full suite of integrated services which include: Internet, TV, mobile, home security and/or phone. Homeowners would want a 24/7 video recording service as it offers an extra level of peace of mind when it’s easy to check in on the interior or exterior of their home remotely from anywhere through the Xfinity Home app or call it up on their TV via the Emmy winning X1 voice remote.